Almost every day, there’s another news story about elder fraud. This week’s Sun-Sentinel reported on the appalling case of a local 87-year old woman who was allegedly swindled out of her home, bank and retirement accounts, then forced into an assisted loving facility. It took months for police to be called in and unravel the sick exploitation scheme. 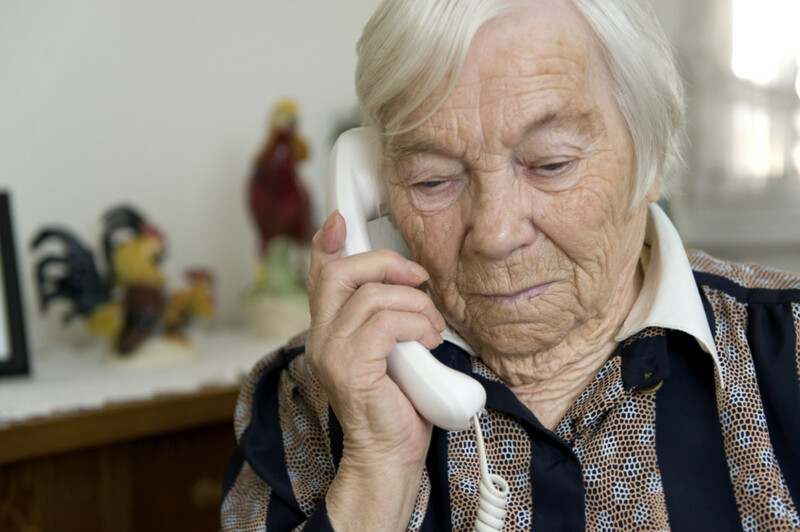 Cases like this happen every day, but what makes this one significant is that it shows how vulnerable elderly people are without attentive family and friends to protect them. Back in 2016, we collaborated with journalist Teresa Mears of U.S. News & World Report on a story about ‘elder orphans,’ those who have no family to depend on as they age. (You can read the complete article here). ‘Elder orphans’ can be easy victims. Like the woman in this latest case, they have no family living nearby to protect them. It makes it easy for them to be befriended and exploited. In this latest case, reports the Sun-Sentinel, the investigation only started when an out-of-state relative became concerned after losing contact with the woman and called detectives. Here’s how the exploitation scheme worked, according to arrest reports and the Sun-Sentinel. The perpetrator befriended the woman, obtained power of attorney over her affairs, became trustee of her Trust and co-signer on her bank accounts, moved her into an assisted living facility, and threw out all her belongings before his realtor wife sold the woman’s condo. Her retirement and bank accounts were drained. • Name a “Trusted Contact,” like a family member or friend, on your bank and brokerage accounts. It’s a new measure put in place earlier this year so your financial advisor or brokerage firm can reach out to a trusted person if they suspect you may be subject to financial exploitation, or if they have questions about your mental or physical well-being. (Our clients can contact us to set this up). • Reach out to elderly friends and family and make a point of checking in with them periodically. Be concerned and follow up if mail is suddenly undeliverable or returned to sender. That could signal a budding fraud case. Criminals often start by changing addresses to detour statements and avoid detection. • Get all your estate planning documents in place and encourage family members to do likewise. A well-drafted Trust or Durable Power of Attorney is there to protect you if you are no longer able to take care of your finances. Name someone you trust to take over for you, so you don’t end up with “help” from someone you don’t want. Need attorney referrals? Just ask us. • Encourage the elder orphans you know to hire a reputable Daily Money Manager or another professional to oversee, reconcile and monitor their financial accounts. Nothing beats a second pair of eyes when it comes to reconciling statements, double-checking withdrawals, and making sure expenses are legit. Thinking Of A Life Care Community?